What does a technical pioneer and venture capitalist actually do in his spare time? Does he prefer to spend his time in the digital world, in front of disproportionately big screens, with the newest electronic devices? Florian Fritsch, who made a name for himself over the last few years as an active sponsor and investor in the fields of geothermics, electric mobility and IoT (Internet-of-Things), answers these questions with a clear no. He prefers to devote himself to a good book after work. A contradiction? Professionally, Fritsch mainly deals with supporting innovative technologies through venture capital – with great enthusiasm no less. However, this is not his only passion: “I love technology in all shapes,” says Fritsch, “but I just need to find a balance after a long day”. He does not find this balance in front of a television or computer screen but rather by reading a good book. Yet, this reading material should not be too simple: Fritsch prefers reading literary classics like Shakespeare instead of typical after-work literature like Dan Brown. The entrepreneur is particularly fascinated by who is probably the Western world’s most famous author. 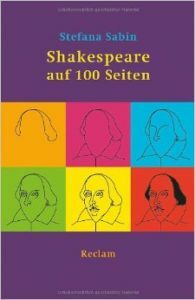 Shakespeare auf 100 Seiten (“Shakespeare on 100 pages”). Published by Reclam. Florian Fritsch supports a literary evening with the author at the premiere in Frankfurt. It therefore is not surprising that Fritsch wants to share his passion for the English poet’s works. For instance, he lately supported and organized a very special Shakespeare evening in Frankfurt together with his wife, the BaumannFritsch Foundation, the Reclam-publishing house and other prominent figures of the art and literature scene. In the celebration of Shakespeare’s 450th birthday, the author and literary scholar Stefana Sabin read from her most successful work Shakespeare auf 100 Seiten (“Shakespeare on 100 pages”), accompanied by music and singing. 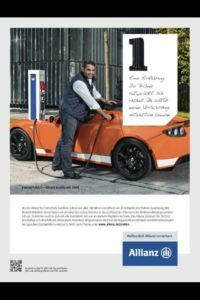 The entrepreneur Florian Fritsch supports the further development and usage of electric mobility and deep geothermics as one of the first in Germany. Innovative and sustainable technologies are his specialty. Personally, he loves to relax by reading literary classics and also supports their dissemination privately.